Hypnotherapy creates a deeper connection with your inner mind and subconscious. Your consciousness is more receptive to positive suggestions and ideas. Inner family and inner child work promote feelings of well-being, regardless of how your childhood really was. Advanced Hypnotherapy® offers new hope for emotional, physical, and relationship healing. 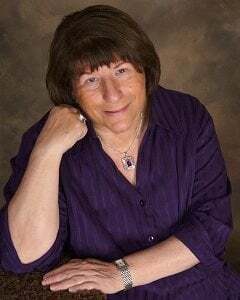 By combining the power of hypnotherapy with the new rapid change methods of Energy Psychology, energy medicine, and wise counseling, Barbara Lynn Allen has developed a system that works even when nothing else has or when there is a need to go deeper. This method offers relief from anxiety, depression, PTSD, relationship problems, and blocks to success through simple, elegant processes that work rapidly, gently, and permanently. People typically say they feel better after the very first session. From your first visit, Barbara offers focused, attentive, personalized work that relieves suffering and promotes lasting change. People notice improvements in relationships, inner feelings of well-being, and a sense of strength and resilience that builds and continues. This new state-of-the-art Energy Therapy has revolutionized the way therapy is performed in the modern era. No longer do we need to suffer from old traumas, memories, feelings of unworthiness, or shame. As the burdens of traumatic and painful emotions are lifted from your memories, your beliefs about yourself and the world change for the better. Your sense of self is more positive, and the people and events in your life will flow the way you want them to. Now we have a way to work directly with our bodies’ energy to gently open blocks, relax tension, and relieve painful contractions. Wise, insightful counseling offers education, wisdom, insight, and guidance where needed. We never learn all we need to know about life and relationships from our parents, our education, or our own experience. Here is a way to have your questions answered in a calm, nonjudgmental atmosphere where you can express your deepest concerns and be seen and understood for who you really are and who you want to become.